It never really fails for me, really. When it comes to RPGs, I am very ADHD. 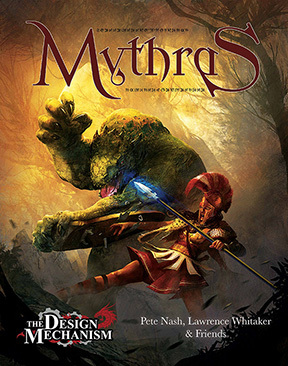 One week, I'm all about D&D and fantasy races and building up my fantasy setting. The next week, I'm drawing up a star map for a sci fi campaign. Good thing for my players that I have a great deal of adventures ready for our 5e game, or else I'd be screwed for spending the last week prepping for a game I won't be running for a long time. So, it started last Thursday on my girl friend's birthday. We went to see Rogue One. I liked it. And I kinda caught the bug for sci fi. Then we saw Interstellar on Sunday. Now we are watching through the Expanse. And boy, the sci fi bug is really hitting me. As much as I love D&D and fantasy, science fiction has always been my first love. Most of my movies, books, and video games are sci fi related. This is why I am now taking the time to detail out a possible campaign, or set of campaigns. So here is what I have for ideas, first being what I'm most excited about. For this, I'm torn between starting the game post launch, or starting it leading up to the launch. The latter is nice because it sets up the background and setting more with the ongoing conflict between those that want to fix the Earth and save everyone, and those that are leaving with only a handful of people. And it'll be something that'll haunt them in the future. For this first part, space travel will be stuck on the stellar system they currently jumped to. But that will change, as you'll see below. One idea I have is that when the players make it to the world, they will eventually find remnants of a colony already there. The strange part is that they discover that the colony was filled with Earthlings. As they'll discover, they were stuck in the wormhole for decades, and in that time, the people of Earth sent a second ship capable of FTL to try and meet with the ark. Things went wrong, they crashed, and there are very few survivors. One of which is the person that invented FTL and can retrofit the ark with it. This will open up the sector and allow the players to have a more Traveller-esque experience with space exploration, further colonization, and getting more resources for their colony. With all this, mind you, there will be colony and resource rules as well as exploration. The players will be creating a managing a colony, though the management part will be between sessions so that the session can focus more on the game itself. There will be your standard alien wilderness encounters, as well as the social issues of trying to keep a colony together. There will be splintering of factions and such as the colony is built up. Possibility of outright war. There is also dealing with the survivors of the FTL mission that have 'gone native' and are now raiding the colony for supplies. And even the air is attacking the players, as there is a large amount of fungal spores from the flora that is poisonous to the humans. Some things for the future, if the campaign sticks, are plans for the players' first contact with aliens. I like to go weird with aliens rather than people with suits, so it'll be something crazy. In addition, when their colony is a large, bustling metropolis, there will be contact from an invading force. But it isn't aliens... it's the Earthlings they left behind. But that might be a different campaign for another time. A lot of this is based on all kinds of games and movies with this in its nature. Alpha Centauri, Civ Beyond Earth, Mass Effect Andromeda, Interstellar... lots of good info of this. There is also a frontier feel to the game, much like Firefly and Starcraft. The players really are out in the space boonies. I tend to lean towards harder sci fi (though not too much) and I have been enjoying The Expanse, so expect at least the social issues of that to creep in. I have considered having multiple, smaller arks from different countries to make it easier to have rival colonies, but I think for now I will keep it one ark that they can fight for control over. Have the rival colonies splinter off from there. There will also be transhuman elements in the game, though not to the extent that you see with games like Eclipse Phase or Nova Praxis. But, there will be mind uplinks and sleeving, as well as some basic nanotechnology and cornucopia machines. So now the elephant in the room is... what system do I run this in? Right now, I'm looking at Stars Without Number, as it is the only rule system I know that has rules for running a colony (Suns of Gold). That is really important to me. I plan on tying that together with the rules of population growth from Adventure, Conqueror, King's Domain Management section. That said, I also enjoy Cepheus Engine (essentially old school Traveller) and the ruleset there. Though the trade section wouldn't get much use until much later. I thought about Mindjammer, but FATE rules don't quite resonate with me as they do with others. 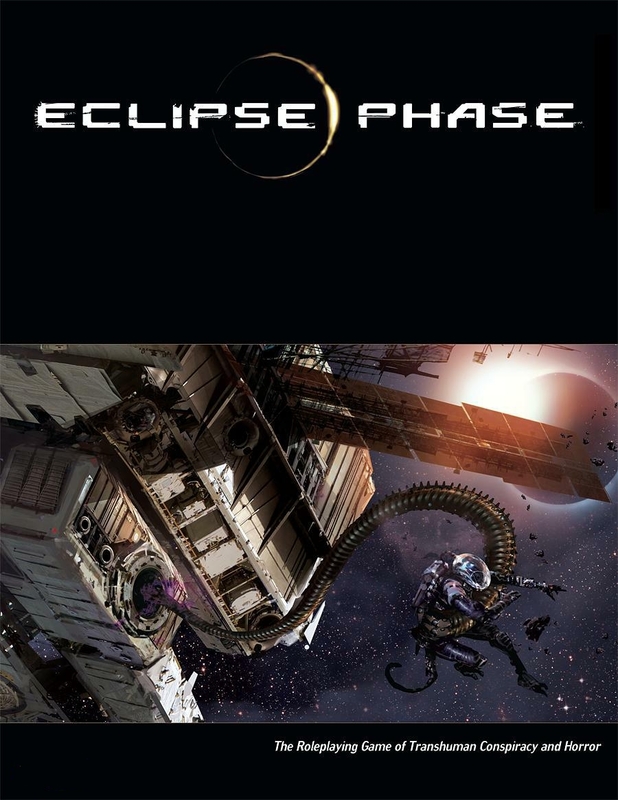 As much as I love the setting and technology of Eclipse Phase, the lack of rules for space travel and combat is a deal breaker for me. I've also considered M-Space, but I don't own that. So that's the campaign I'm looking to make. Tell me what you thing, any ideas you have, and what ruleset would be great to try out.